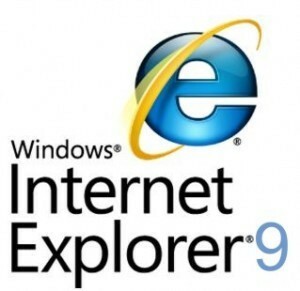 At the SXSW Interactive conference, Microsoft officially announced that the new Internet Explorer 9 is released. The latest version of the Internet browser is now available to be downloaded and installed by the public. With this new browser, Microsoft hopes to overcome competitors like Firefox or Google Chrome. Internet Explorer 9 was first released to the public in beta version a little over a year ago, and the company claims that the new program’s speed and security will change users’ perception of the web and even foster the creation of a more “beautiful” internet. More than 40 million people have already downloaded the beta version of IE9, giving the product a small percentage share of the global web browser market before it has even officially launched. According to Microsoft it had the highest and fastest adoption rate of any beta product until now. Internet Explorer 9 is built to make the most of Microsoft’s latest operating system, Windows 7, as well as graphics processing chips that can power videos, games and graphics. The long list of partners that have adapted websites to IE9 includes Facebook, Twitter, Pandora, Hulu, and Yahoo!, according to Microsoft. Internet Explorer 9 promised to be another hit release for Microsoft, which has had market success with the Windows 7 operating system and the Kinect motion-sensing controller accessory for Xbox 360 video game consoles. Ronald Silva is one of our newest publishers.He currently lives in Toronto (Canada) with his family.Ronald covers the music and sports sections of DailyGossip.org. Over the past few years, Ronald has participated in various journalistic projects including some of which he started when he worked for a local newspaper in Toronto. Contact him at Ronald.Silva@dailygossip.org.